For this small project, we were approached by clients who wanted a sheltered space to host their frequent outdoor social events. We helped them design an integrated and flexible garden structure, to create a comfortable outdoor microclimate, whatever the weather or the occasion. The house already had a well-exposed adjacent terrace, but the the westerly wind and rain showers often disturbed the frequent social gatherings organised by our clients. They were looking for an affordable solution that would provide them with flexible configurations for the various social occasions (from small family dinner to large work events with 20+ guests). 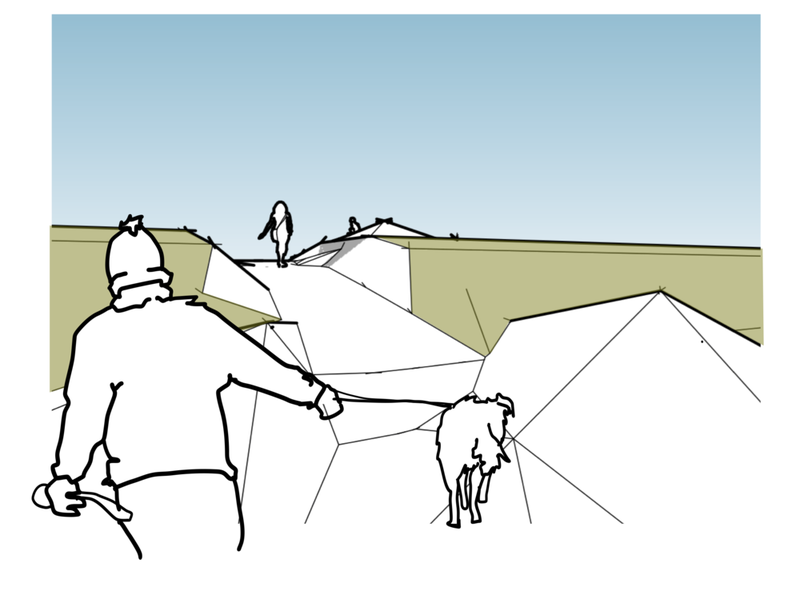 Analysing each use scenario, we focused on creating a solution that would integrate well with the existing hard and soft landscaping, yet remain flexible in its use and the degrees of shelter it could provide. In particular, we wanted to keep the space as open as possible to its surrounding. So we opted for a system of retractable textile roofs and glass screen walls, so that the outdoor space could function well throughout the year, whatever the weather, the number of guests and the type of activity it would host. In parallel to this design process, we investigated both custom-made and standardised garden structures. We eventually converged towards a hybrid option, whereby we customised an existing pergola system to tailor it to the specific needs and taste of our clients and to the site, keeping the project on budget and allowing for fast-track installation — on time for the Norwegian National Day! Testing furnishing configurations and checking their feasibility using standardised and custom-made elements, we refined the design with the clients to converge towards the final built result. Our clients have since then sent us some nice photos, having enjoyed their new outdoor space from early spring to late autumn, hosting many social gatherings with family and friends! On Sunday I revisited the memorial project for the Nottingham Progressive Jewish Congregation. It was finished three years ago, and the beauty of the stone is now really coming through. The Clipsham limestone we specified has mellowed down in colour and is showing a nice patina whilst the twisting coping stones and faced block to the interior look as crisp as ever. Clipsham is a local stone with a noble pedigree- quarried less than 40 miles from the site of the memorial, it was used in the construction of Windsor Castle in the 14th Century and at King's College Chapel in Cambridge. The coping stones were 'spun' into shape on site from a harder york stone, giving them a sharper line, greater weathering resistance and a darker blue/brown appearance. 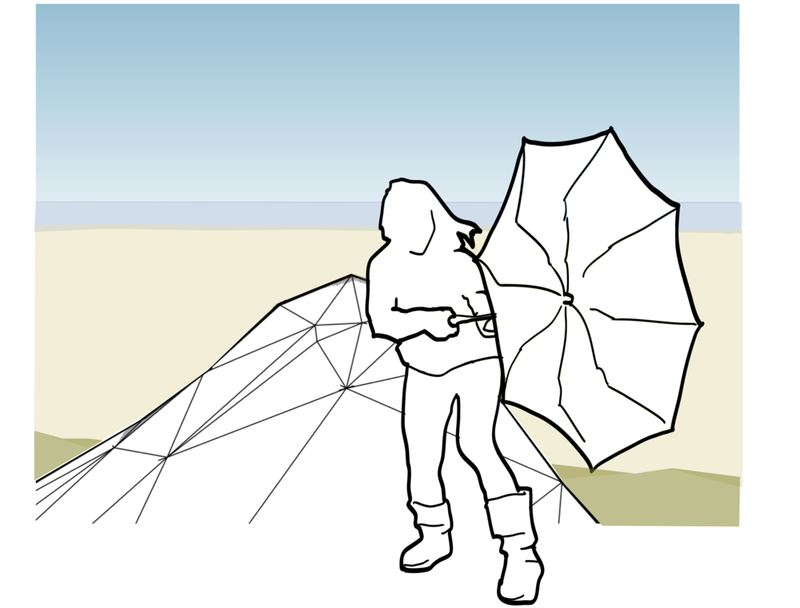 We have just sent an application for the Nasjonale Turistveger prequalifications, teaming up with three talented Norwegian designers: Mona Kramer Wendelborg (landscape architect), Brit Sejersted Bødtker (architect) and Thea Collett (architect and lighting designer). This prequalification is organised by the National Tourist Routes of Norway, looking for teams of young and creative professionals to design fifty new resting places and viewpoints along its touristic roads, winding through landscapes of outstanding natural beauty. To illustrate the diverse and interdisciplinary skills and experiences of our team, we presented ourselves around three themes — thinking on the edge, togetherness and material tactility — choosing as our motto the word HAPTISK (Norwegian for haptic). Thea is a creative lighting designer working for Rambøll Norway and both Mona and Brit share with me an office space in Oslo. It is great to collaborate once again with my co-worker from Sommerrogata 17! 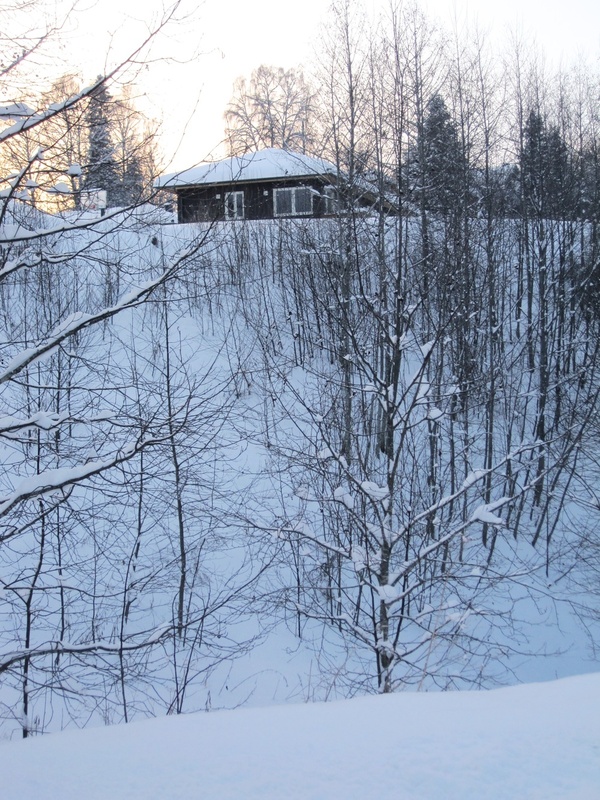 The original brief for this project was to create an outbuilding to an existing family house designed by renowned Norwegian functionalist architect Rolf Prag. 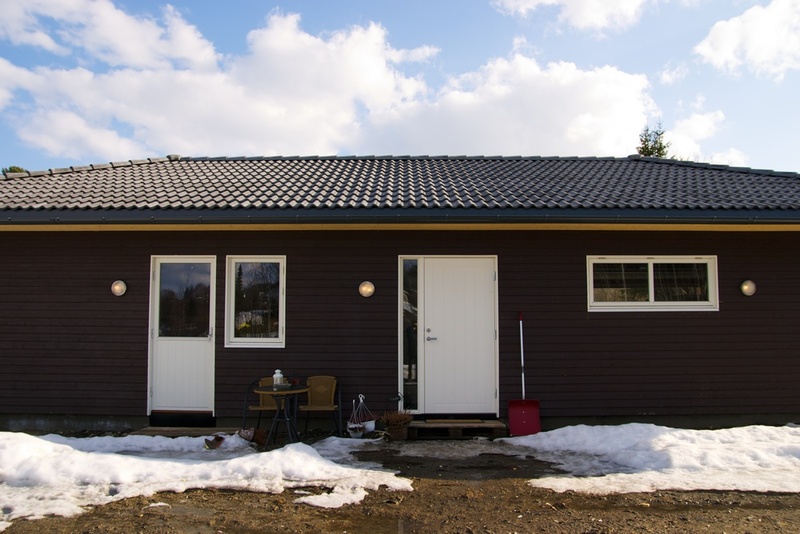 This outbuilding would accommodate garage space and a small apartment for rental. We designed a simple single-story building that echoed the typology of the main building, but keeping it visually more compact to respect the functional hierarchy between the main building and its servant outbuilding. The outbuilding then went into another iteration of design, the plot being subdivided to allow the sale of the main building. The area was also relandscaped to cater for this new use. We merged the existing garage and storage space into the living quarters, creating two more bedrooms and a utility room. 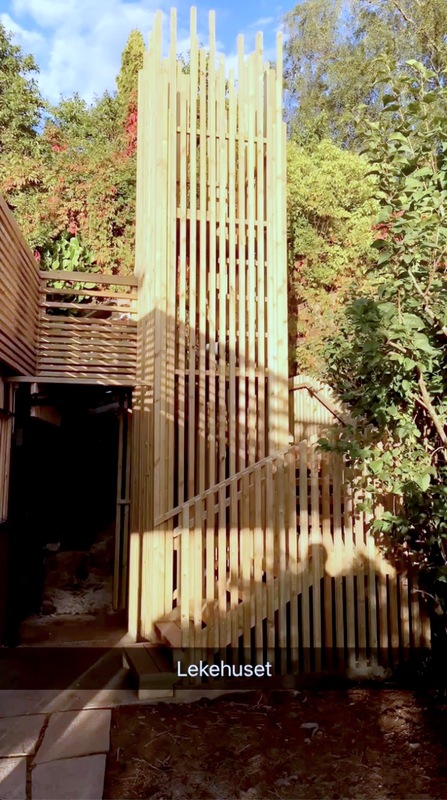 With minimal changes to the external appearance of the building, a new garden space and carport were fitted onto the tight plot, framing the entrance to the house and providing a low maintenance outdoor play space. 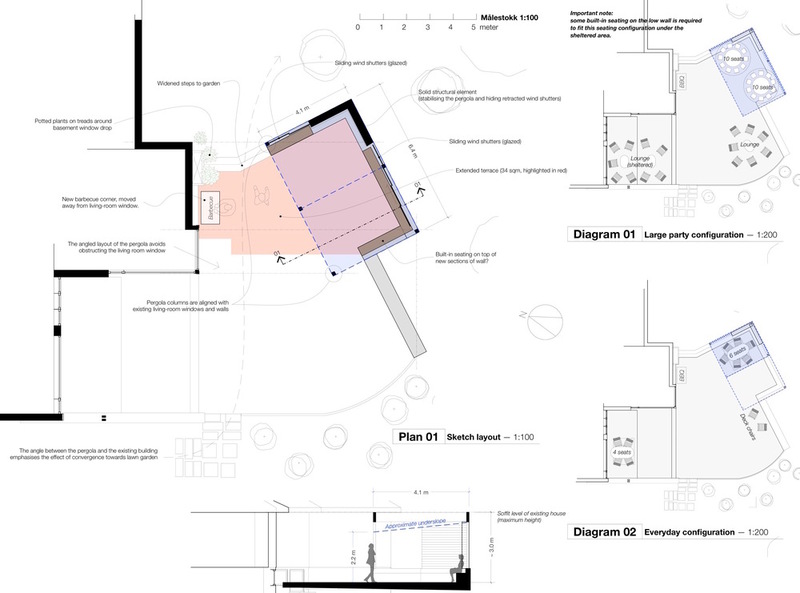 Planning permission has been granted and the remodelling of the outbuilding and hard landscaping work are now underway. This project is the result of our combined interests in public art, craftsmanship and education. Starting as a student design competition that we organised at Nottingham Trent University for the Nottingham Progressive Jewish Congregation, our design process became an involved exploration of traditional stone walling techniques and complex numerical modelling to create a solemn yet welcoming landscaped space. 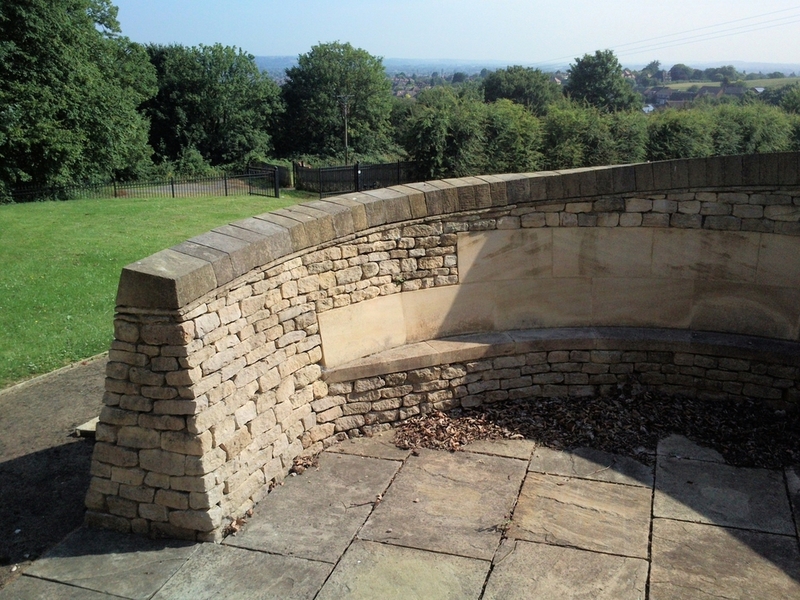 This project was shortlisted for the RIBA East Midlands Award for Architecture 2011. 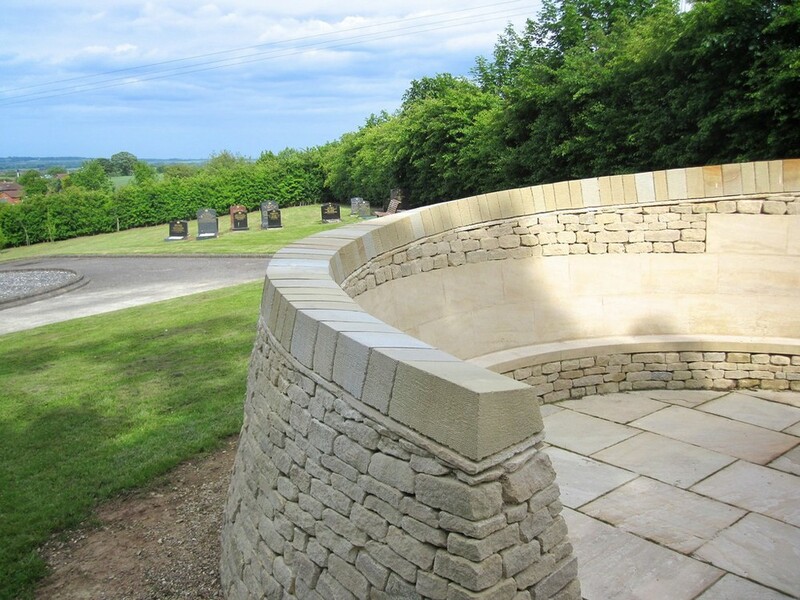 We were approached by the client to create a memorial structure for their congregation’s cemetery on an exposed hillside with excellent views over the Trent valley. We proposed, set up and ran a design competition for students, then collaborated with the winner to bring the project to completion. We redesigned the competition winning entry, working with the student in the role of project artist, to ensure buildability and adherence to a very restricted budget. 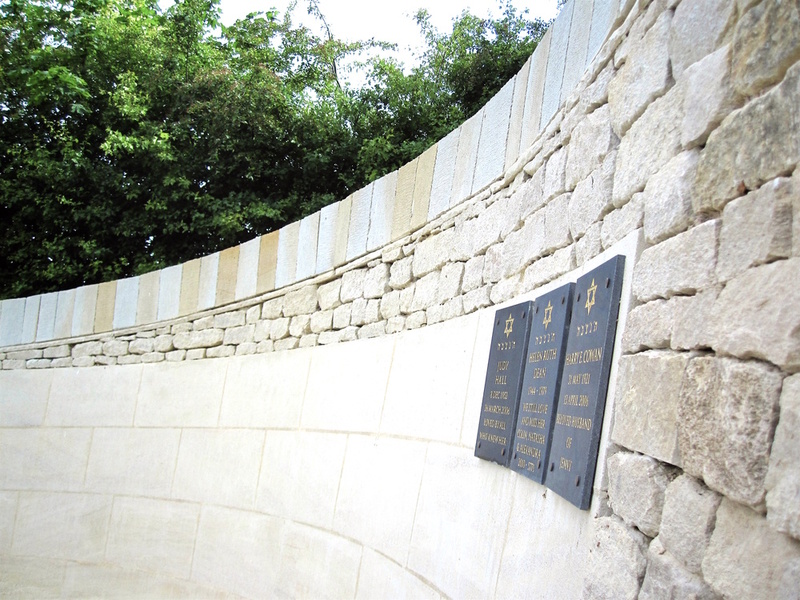 Our innovations on this project include a rejuvenation of traditional craft building techniques and the use of three dimensional computer modelling to achieve the twisting shape using stonework. We developed a custom plugin for our 3D modelling software to help us explore alternative geometries with the stone masons and produce the required three-dimensional templates for the preparation of the curved ashlar stonework. 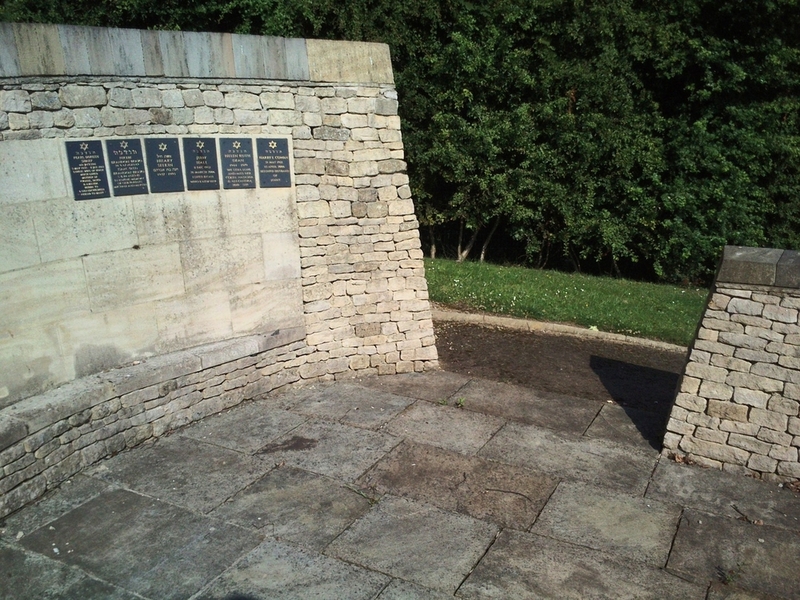 The first commemorative plaques, on the curved ashlar. The resulting structure creates a strong sense of place with an intense focus for ceremonial purposes, whilst also framing views out and welcoming visitors in. The Memorial viewed from the cemetery entrance. Before winter hits the Serbian hills, I visited the Sokolovica eco-village on the Rtanj mountain in Southern Serbia to help them prepare the gardening raised beds where they will grow most of their food next year. As part of our permaculture strategy, we wanted to set up the first of a series of deeply mulched raised beds. The first beds were to be placed as close to the house as possible, to make then easier to maintain. We decided to start small and wrap the first one around a mature apple tree, situated close to the entrance of the site. The shape of the raised bed would follow the drip line of the apple tree (below the perimeter of its foliage), where rain and condensation water tend to naturally get concentrated by its leaves, thus minimising the need to irrigate the bed later on. The drip line is also where the tree’s feeding root are at their densest below ground, so that will maximise interaction with companion plants growing in the raised bed. As the raised bed should neither be tilled nor disturbed, we created so called keyhole openings into the bed to allow easy reach to any part of the bed without having to stamp (and compact) the soil. Placing the bed under the crown of the apple tree made it possible to use its foliage to define a range of different micro-climates in its shadows — protecting the plants below from the hot summer sun and from mid-season morning frosts. The tree foliage would also help protect the bed from the frequent summer thunderstorms, breaking the speed of the rain drops before they could damage the more delicate plants. The excavation of the nearby reed bed filtering the house's grey water has unearthed a vast supplies of rocks (chalk?) and we decide to reuse some of them to create a border. In addition to keeping the mulch in place, they will provide habitat for small insect predators such as lizards and spiders. 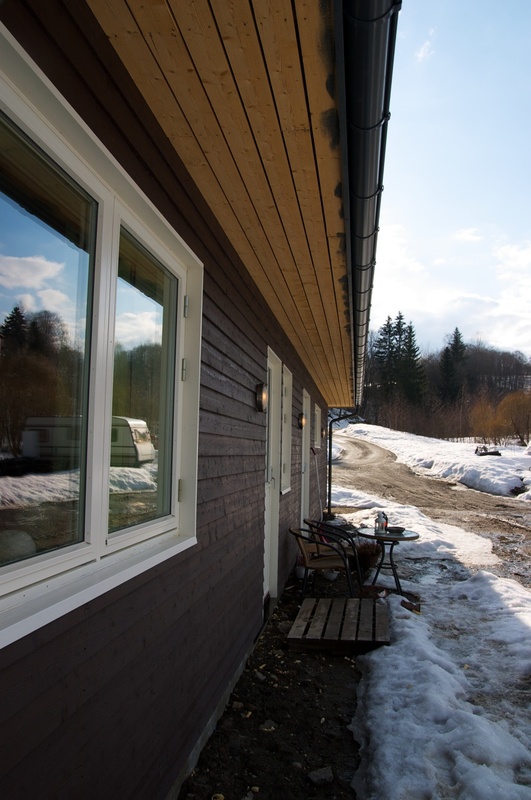 Their thermal mass will also play a role in controlling the bed's microclimates: accumulating heat during daytime and acting as condensation traps at dawn. The rest of our full time pest-controlling team — the birds — would happily perch on the apple tree above the bed and keep the insect population under control. Laying out the raised beds was intuitive and fun: run around the tree with a wheelbarrow to figure the width of path and keyholes. Once this was done, visualising the width of the beds and the position of the keyholes was as as simple as two people walking round while shaking hands — since any part of the bed should be reachable from one of the sides without having to trample the mulch. Refreshingly practical! a layer of straw from locally produced bales to insulate the soil and prevent seed germination until spring.